We sat down with Jessie Williams, owner of Edge of Urge, for our second installment of Raleigh Hustles Hard. Jessie, along with a few other small business owners, play a key role in making the Person Street neighborhood as great as it is today. Edge of Urge and Lumina Clothing landed in Person Street Plaza in 2014, splitting the space between Yellow Dog Bread Co. and Wine Authorities. Edge of Urge has everything. Clothing, shoes, hats, scarves, Freakers, candles, jewelry, art, accessories, hilarious greeting cards, and even a room in the back where you can sit down and stare into Jean Claude Van Damme’s eyes. 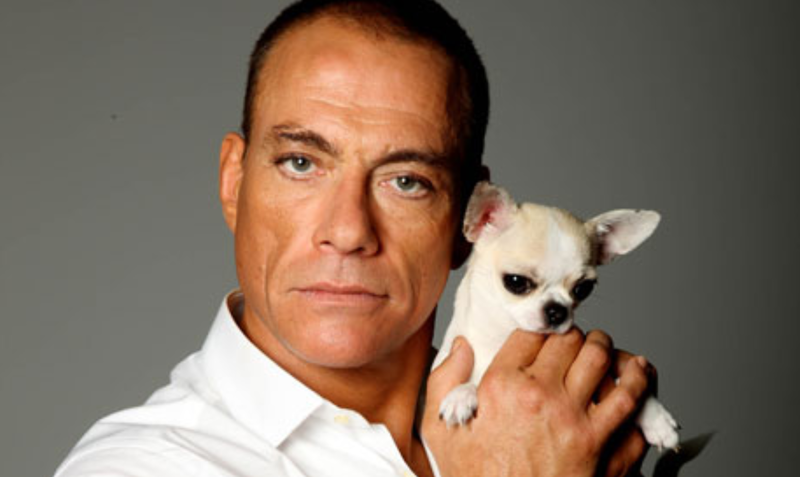 Is JCVD actually there? Is it just a poster with super life like eyes? Get in there and find out. It’s hard to last five minutes without making a purchase. As an artist and crafter who’s been hand sewing clothing since a teenager, Jessie has a great eye for quality products. Along with her amazing team, Jessie has managed to create a unique shopping experience for anyone. She’s a part of the growing slow shopping movement, providing a platform for local crafters and artisans to sell unique goods to the community. Jessie knows both sides, and how hard it can be for an entrepreneur to find their voice and make a living from their talents. Like so many other entrepreneurs and hustlers, Jessie walked many paths before ending up at Edge of Urge. She’s a native North Carolinian, but studied fashion and photography at the Art Institute of Chicago. Jessie, who thinks the word “fashion” in itself is a bit pretentious and stuffy, decided along the way that the fashion world wasn’t for her. She shifted her focus to sound and performance art, thinking she’d eventually end up working at a production or recording studio. As a hands-on, visual and auditory learner, that path made a lot more sense. Throughout this time, she never stopped creating and eventually started selling her art and other products to friends. As the business developed, she was turned off by the arduous battle of trying to sell wholesale to stores and other distributors. “One day my mom told me about this space in Wilmington, NC that was only a few hundred dollars a month. So I took the chance and went down to setup the market with my stuff and some cool products from other crafters I knew in Chicago.” Edge of Urge was born in 2002 in a small $400 a month open-air space at a market in Wilmington, NC. “I was setup across from a guy selling only children’s dolls and swords”, Jessie said about her first space. Luckily, that was short lived. Edge of Urge moved to the JW Brook building in 2003 and then to their eventual home on 18 Market Street in downtown Wilmington, NC. Jessie says the addition of the Raleigh shop has been extremely positive and rewarding and they have plans to further connect with the community through a series of pop-up shops and events. Look for their 1966 Vintage Shasta Camper around Raleigh this summer or stop into Edge of Urge at 219 E Franklin Street. The Heart Drop is here for Valentine's Day! You can now shop for the Heart Drop just in time for Valentine's Day! The Heart Drop is the first of three designs in our 2015 Transformation series. We're really excited to release this design, especially in February! The Heart Drop represents the commitment to love conquering all. When it rains it pours, but a person with love will always keep their head above water. Get yours now in the Ladies Shop!